Indonesia has long been a pilgrimage for avid yogis. Our scenic Jeeva Saba on Bali’s east coast is no exception. Choose your favorite location on the property, whether it be on the beach, lawn or on one of the many terraces. 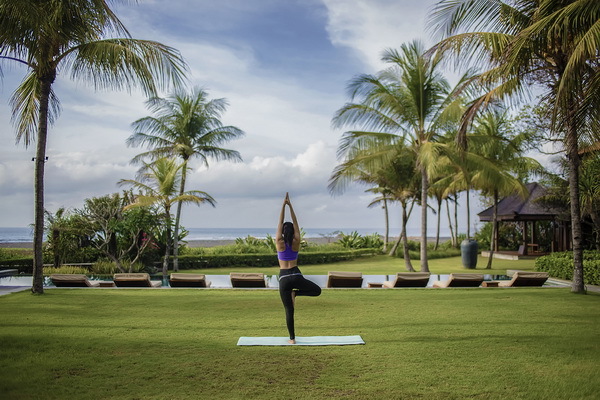 Our luxury estate staff will assist in arranging a private yoga instructor in your preferred discipline. 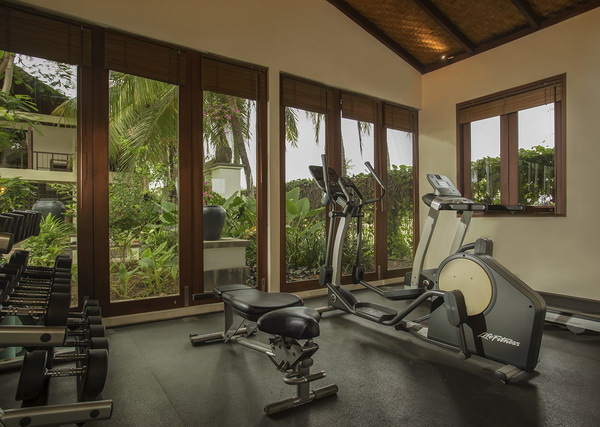 The Beach House at Jeeva Saba offers a small yet well-equipped gym with cardio and weight equipment for our guest’s personal use during their visit to Bali. Should you require the services of a personal trainer, please let our estate staff know, and we will be happy to arrange for a session in the gym or anywhere on our oceanfront property.